for consumer electronics and home appliances. market development is stable, keeping pace with last year’s figures. “We expect IFA to have a positive and significant impact on the market. Consumer & Home Electronics GmbH, the organisers of IFA. 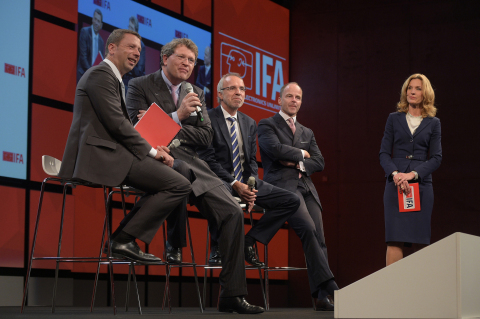 IFA opening keynote, 10.30 a.m.
CityCube on the Berlin Exhibition on 7 and 8 September 2015. IFA TecWatch presents technologies for the markets of tomorrow. 45 startups whose exhibits will be the focus of individual theme days. exhibitors showcase their latest wearable products and innovations. drones are creating new markets. saving time and aesthetic appeal. (ExpoCenter City) from 4 to 9 September 2015.